ACappellaVideos.org- From the creators at AcaRecords, videos of...you guessed it, a cappella. BetterAcappella.net- A site dedicated to A Cappella arrangements (heaven!). EricWhitacre.com- A brilliant composer, be a part of his virtual choir! TheTouchtones.com- An all female, all awesome a cappella group at Cornell University. Twitter.com/VoiceOfOneACA- 160 spaces to say something important. VarsityVocals.com- Student A Cappella competitions and albums (BOCA). 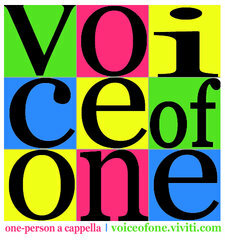 Youtube.com/VoiceOfOneACA- We favorite, subscribe, comment the best OPAC videos.